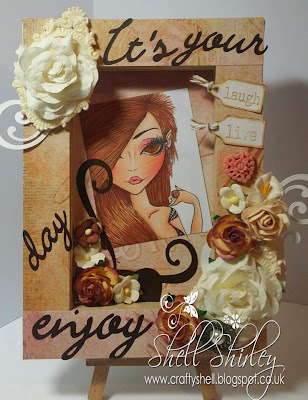 Today I have a altered frame to share. For the challenge the DT got to pick a few images to use. I loved this one I think it's perfect for teenage girls with her funky hair. the papers are from lotv and the words are vinyl cut on my cameo. The big white flowers and the frames under them are from That Craft Place.